program must be periodically renewed by the City Council. balance the needs and views of all community members when selecting sites. Who pays for the rest stops? The cost of establishing and operating each rest stop is paid for and managed by a nonprofit organization. 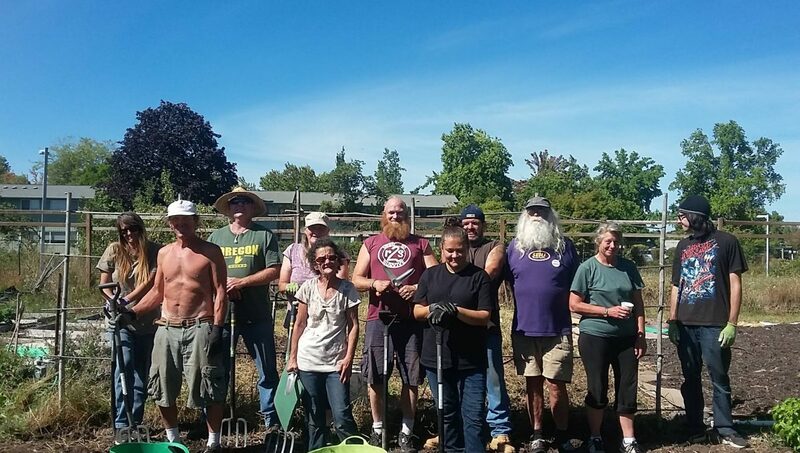 The City of Eugene, Lane County, and the Eugene Mission provide the land. Who stays at rest stops? Individuals 18 or over who are experiencing homelessness are eligible to apply for a space at a rest stop. Applicants are screened to determine if they are a good fit. Rest stops are intended to be a temporary respite and the managing nonprofit works to connect residents with support and resources to help them move toward a more sustainable housing solution. How are rest stops kept healthy and safe? Residents sign agreements to abide by rest stop rules and an onsite manager provides supervision. Best practices for water, handling and preparing food, cooking and cleaning, heating, waste management and illness prevention are followed. There is zero tolerance for violent behavior or alcohol and drug use onsite. Children must be supervised and are prohibited from staying overnight. Portable restrooms and trash collection are provided. Residents are expected to keep the site tidy, refrain from disruptive behavior and be good neighbors. The sites are also fenced to control access and promote safety. Why do we need rest stops? There is simply not enough affordable shelter for the high numbers of people who are experiencing homelessness in our area. The rest stop option helps alleviate this need. Residents report that having a secure and safe place to sleep is crucial in helping them access services and find long-term, stable housing.